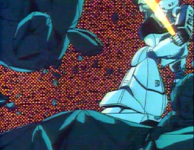 The original Patlabor OVA series was quite a revolutionary concept for the market at the time, mostly due to its cheap retail price of ¥4,800. Most OVAs of the time cost more than double that. 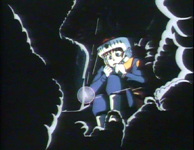 Possibly due to some nervousness in not being able to recoup costs on the distributor's part, a commercial was included in between the eye-catches on the first six episodes of the series. 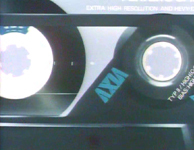 The advertisement is for an AXIA blank audio cassette, their PS II X model (AXIA apparently stands for "Active eXciting Innovator All for you"). 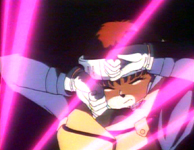 The amazing thing is that it is animated and features Noa and her Ingram. 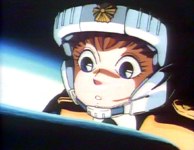 Bizarrely though this 30 second clip bares little resemblance to the realistic world of Patlabor. 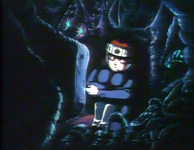 Instead we are treated to something of a fantasy/sci-fi world; Noa sleeps in what looks like a darkened disused set from "Outlanders", and while she sleeps she dreams of piloting her Ingram and cutting up asteroids with a light sabre. 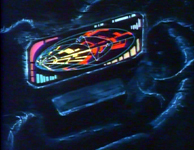 It's a typical and rather clichéd setting, one which could have appeared in any number of mid 1980's OVAs. Noa, the Ingram and control car look really out of place in the commercial. 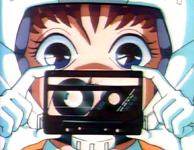 Parts of the animation were edited into the music video for "Miraiha Lovers" by Kasahara Hiroko, which was included in the "Patlabor Music Clips" compilation video. 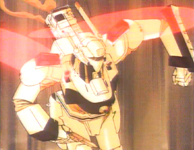 The music for the commercial was later included on the "Patlabor CD Box Deluxe" soundtrack box set. 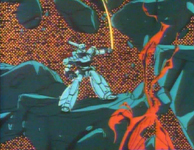 For some reason, the commercial only appeared on the initial video and Laserdisc releases of the series and the 1992 laserdisc box set. All of the Japanese DVD releases do not include the commercial, nor do any of the English language releases. Below is a selection of images from the commercial. This commercial is not available in English anywhere commercially. The only place I have seen it is on a commercial Japanese video download site (similar to Youtube). Because I only like to support official releases, I won't be providing any links to download this commercial. 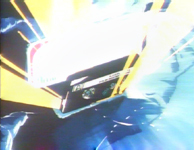 This commercial was released on the original VHS and Beta tapes (from Bandai Visual/Emotion) and Laserdisc versions of the Original OVA Series (AKA Early Days) and on the Mobile Police Patlabor LD Box (both released by Warner Pioneer). 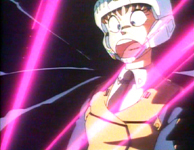 The video clip of "Miraiha Lovers" was released on the video compilation "Patlabor Music Clips", as a single VHS tape (from Bandai Visual/Emotion) and Laserdisc, then as an extra on the New OVA Series Laserdisc Box Set (both released by VAP Video). 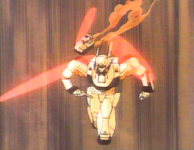 But it is now only available as an extra on the "Patlabor New OVA Series DVD Box", the "Patlabor DVD Memorial Box" and "Patlabor Music Collection" DVD in Japan from Bandai Visual/Emotion. These releases are only available in Japan, and therefore will only work on NTSC compatible VHS, Betamax, Laserdisc and Region 2 DVD players (if you don't live in Japan, the US or Canada, check your VCR, Betamax, LD or DVD player's instruction manual to see if it will play them). 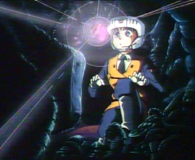 Please see the Japanese Original OVA (AKA Early Days) Releases Video List and the Japanese Specials and Oddities Releases Video List for a complete listing of all releases, formats and product specifications for the for the Original OVA Series and the video clip compilation. A GWEI Product. ©2003 - 2018 GWEI. 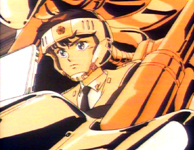 AXIA Patlabor Commercial ©1988 Headgear/Emotion/TFC/AXIA. All other logos/trademarks are copyright of their respective owners/companies. Used for review and illustration purposes only.